Our Constitution created a system of checks and balances, in an attempt to keep government power under control and prevent one area of government from becoming too powerful. One of the most important and effective checks is that of the states defending their areas of legislation from federal overreach. The Tenth Amendment clarifies that any powers not granted to the federal government or prohibited to the states, are reserved for the states or the people. Dickinson believed encroachment by the federal government would be carefully guarded against by all the states because such interference would create a dangerous precedent. Disappointingly, the states have not always been strong defenders of their areas of legislation, and have allowed the federal government to expand its power. We have also seen that once the federal government starts a program, it is nearly impossible to get rid of and it is often too late for the states to fight against intrusion. In his opinion defending ObamaCare, Chief Justice Roberts also called on the states to defend their turf from federal takeover. “In the typical case we look to the States to defend their prerogatives by adopting ‘the simple expedient of not yielding' to the federal blandishments when they do not want to embrace the federal policies as their own. The States are separate and independent sovereigns. Sometimes they have to act like it." More and more states are actually beginning to act like sovereigns and protecting their jurisdiction from federal overreach. The Attorney General offices in Texas and Oklahoma seemingly have been expanding their states’ rivalry to see which can bring more cases against the federal government. West Virginia, among other states, has been especially active in suing the EPA over the implementation of its Clean Power Plan. In addition, the American Legislative Exchange Council has established a model bill that would require state legislative approval before the state regulatory board could comply with the Clean Power Plan. West Virginia has already passed legislation that grants the state legislature final say on compliance, and many other states have raised concerns or introduced similar bills. This is a great example of how federalism, a state check on federal authority, is supposed to work. When the federal government goes beyond its authority, states either sue, or pass legislation to protect their own interest. For too long, this necessary check had laid dormant. But now, Attorneys General from a number of states have shown how their office can be an important tool against federal overreach. 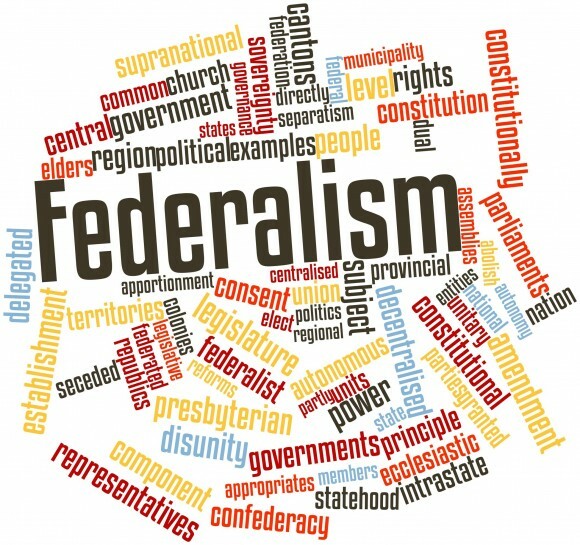 When the federal government oversteps the bounds laid out in the Constitution, it is up to the states to loudly object to the encroachment and keep the federal government out of state affairs.